Agent Spinner is a new online casino first launched in 2017. The site takes on a kind of secret agent approach, telling players they have “been recruited because of their talent for taking on great risks for great reward.” Agent Spinner is a basic online casino offering hundreds of games from some of the best software developers, all available completely download-free. We have provided a comprehensive review of the casino and its bonus offers, game variety, banking methods, security and licensing, to determine whether Agent Spinner is worth your time and money. What kind of player is Agent Spinner suited to? Agent Spinner Casino focuses mostly on the slots, with only a handful of table games to choose from, so this site is really for the slot fans only. It will suit players who enjoy multi-provider casinos, as there are games on offer from several of the leading software developers. High rollers and VIPs will also be happy to know real money deposits of up to $50,000 are allowed using the Trustly online banking system. The casino does not accept players from the United States of America (and its dependencies, military bases and territories including but not limited to American Samoa, Guam, Marshall Islands, Northern Mariana Islands, Puerto Rico, and Virgin Islands), Australia, France, Greece, Estonia, Belgium, Spain, Italy, South Africa, Denmark, Turkey, Hong Kong, Afghanistan, Ethiopia, Iran, Iraq, Jordan, Kuwait, Pakistan, Syria, Nigeria, Singapore, Slovenia, Romania, Bulgaria, Portugal, Philippines, Poland, Israel, India or Yemen. 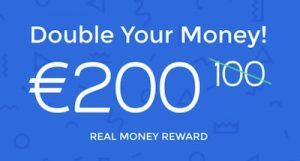 Double deposit bonus – If you sign up for an account and make a real money deposit between $20 and $100, Agent Spinner will match the amount by 100% – just enter the bonus code ‘DOUBLE’ when making your deposit. This matched deposit bonus is subject to a 50X wagering requirement, which must be played-through within 21 days. 100 free spins – New real money players can also claim 100 free spins upon sign up. All you need to do is register for an account, make a deposit and verify your mobile phone number and Agent Spinner will then credit your account with 10 free spins every day over the first 10 days of your membership. The crappy part? This free spins offer is only available to players from Finland, Norway and Sweden, so every other country misses out. The maximum amount of money which can be won from the free spins bonus is also capped at $200. Get more info about Agent Spinner’s welcome bonuses here. Forget having to download any software, as all games at Agent Spinner are available for instant-play directly over your Web browser. 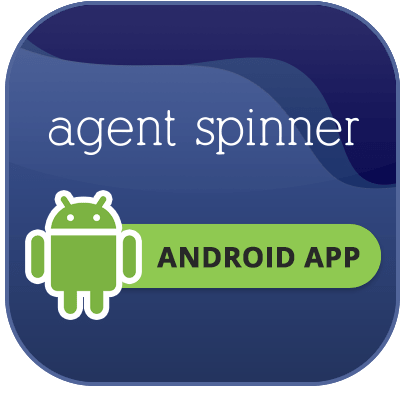 While the browser-based platform is very convenient, it is hard to ignore the fact Agent Spinner is pretty unimpressive when it comes to the design side of things. The format of the casino is very basic, with no real effort going into the layout – games are simply displayed using thumbnail icons, with no other graphics except for a smug looking guy sipping a tiki cocktail for some reason. We are hoping some more work goes into this casino, as Agent Spinner has some real potential to be up there with the best of them if it receives a face lift. For those who prefer to play on the go, there is an instant-play Agent Spinner mobile casino site available. The mobile casino is an exact replica of the desktop site, so do not expect anything too impressive, but it does provide a fast and easy platform to play real money games from any data-enabled mobile device. 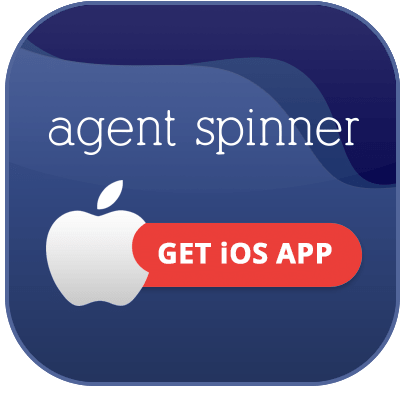 Thanks to its browser based format, Agent Spinner is compatible with all smartphone and tablet makes and models, including iPhone, iPad, Samsung Galaxy, Window Phone and others. What Agent Spinner lacks in design quality, it makes up for in game variety. We are not sure of the exact number of games offered at the casino, but there is easily hundreds of slots to choose from, with only a smalls selection of table games. 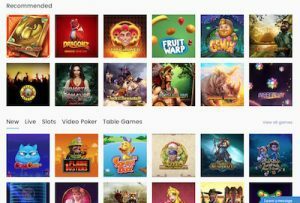 While you can search by keyword, category or game studio using the magnifying tool, the search function is not very advanced, and it is not easy to sort games by software developer or type like it is at many of our other top-rated casino sites. The number of table games is very disappointing, but if you are chasing the slots you will be very happy here. One big plus is Agent Spinner uses software from multiple software providers, including some of our favourites. You will find games on offer from big names like Microgaming, Net Entertainment, Quickspin, Thunderkick, Yggdrasil, NextGen, WMS, Play’n Go and ELK Studios. All games can be sampled for free in practice mode, except for live dealer games which require real money bets to play. There are only a few live dealer games on offer, so you may want to go elsewhere for a larger selection if this is the game format you are looking for. We recommend Leo Vegas for the largest selection of live dealer casino games in the one safe venue. Winnings can be withdrawn using any of these payment methods, except for Euteller and Zimpler. The most which can be withdrawn is $5,000 at a time, although higher limits may be available for VIP players. Check out our Agent Spinner Casino deposit options guide for more detailed information on each of the supported options. Agent Spinner is fully licensed by the Malta Gaming Authority (MGA) which is one of the most trusted jurisdictions for online gambling. We checked their MGA Dynamic Seal of Authorisation and were happy to see these guys have a clear record, so you can rest assured you are playing at a regulated and reputable casino site. The site also has additional licensing and a clear track record from Curacao e-Gaming, another leading online gambling jurisdiction. Agent Spinner is RNG Certified, which means their random number generated software is tested and audited to be running fairly. The site is protected by 128 Bit SSL (secure socket layer) digital encryption security to protect player information at all times. 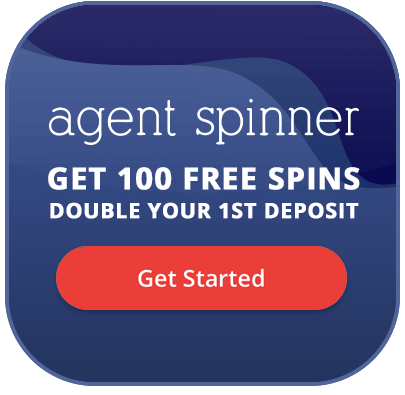 Give Agent Spinner online casino a try and receive a welcome bonus of up to $100 when depositing real money for the first time. Players from certain countries are also eligible for 100 free spins to use on the wide selection of online slot games.